Our pic today revisits the foreign intrigue potboiler Flight to Hong Kong (1956), directed by Joseph M. Newman. 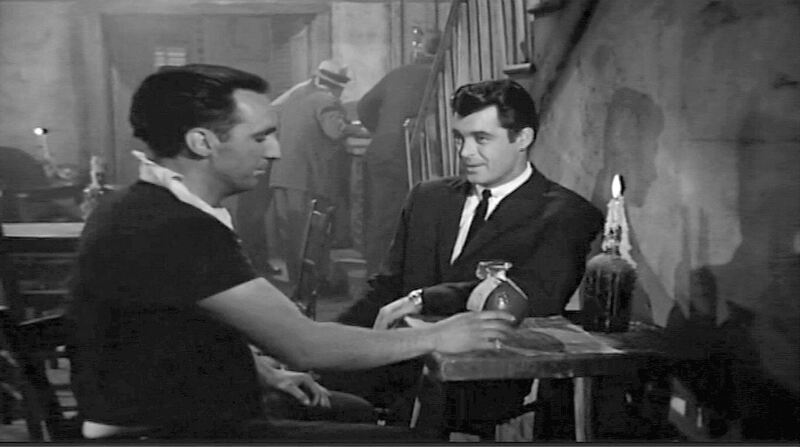 Diamond smuggler Tony Dumont (Rory Calhoun) enlists the aid of shady thug Lagarto at a dive bar in Macao. 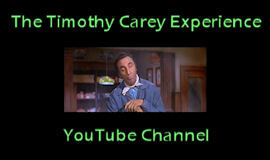 Here is yet another of Timothy’s early films that deserves a proper commercial DVD release. You can, however, buy or rent it digitally at Amazon Instant Video. This entry was posted in Film, Web/Tech and tagged amazon instant video, flight to hong kong, joseph m. newman, macao, rory calhoun, timothy carey. Bookmark the permalink.